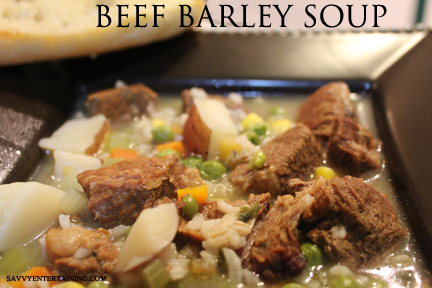 If you’re looking for a warm bowl of comfort food on a cold wintery day, this hearty beef and barley soup definitely fits the bill. Easy to make, you can serve a large group with this recipe. Add a green salad and some toasted bread on the side and you’ve got a great meal. 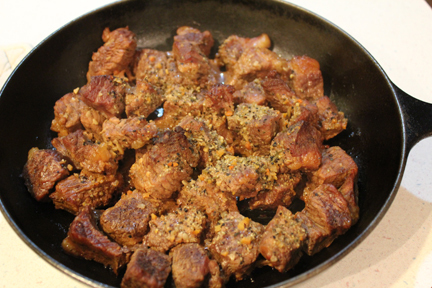 Take about two pounds of stew meat and trim off most of the fat, cutting it into bite-sized pieces. Season with an all-purpose seasoning and salt. Cover with foil and bake in a 350 degree oven for 2 1/2 hours. Doesn’t that look yummy? Don’t you want to just snitch a piece? 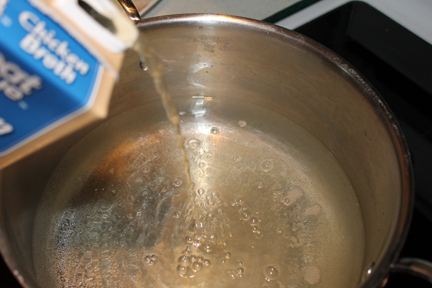 When the meat is almost done, add water and broth to your stock pot. Add the remaining ingredients and cover then cook on medium-high heat until it reaches a nice roiling boil. Add meat, cover and let simmer on medium heat for about 15 minutes. Using a nine-inch cast iron skillet, give it a light coat of non-stick cooking spray. 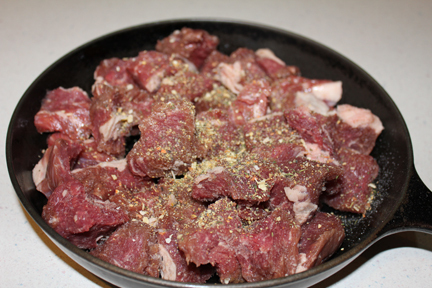 Place stew meat in the pan, add 2 tsp. all-seasoning and 1 tsp. salt. 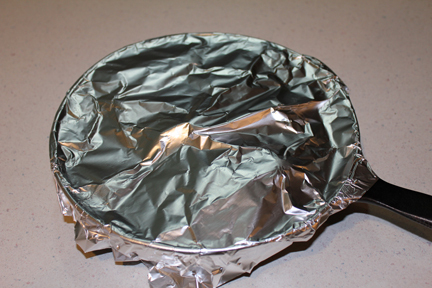 Cover with foil and bake 2 1/2 hours. 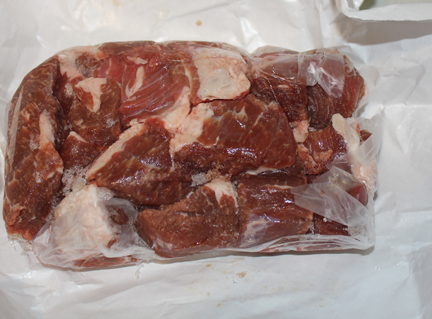 Just before the meat is done, put eight cups of water on to boil in a large heavy-bottomed saucepan or stock pot. (I used an 8-quart pot). Add the chicken broth, salt, vegetables, barley, remaining seasoning, and parsley flakes (I happened to find some left-over potatoes in the fridge and tossed them in, too!) Cover and bring this to a boil. Once it gets rolling, add the meat. 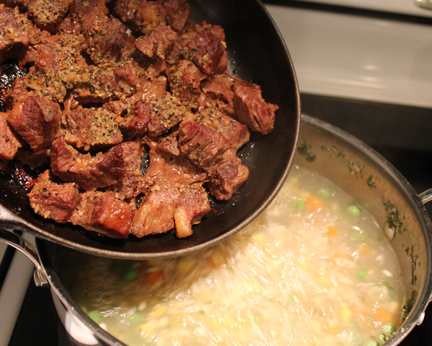 Make sure you scrape all the delicious beefy goodness from the bottom of the pan into the soup. 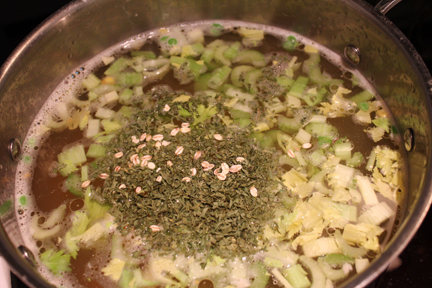 Cover and turn heat down to medium, letting this simmer for about 15 minutes, until veggies are cooked through. Made chicken stew last week cause it was just cold – wet and ucky outside.